The Los Angeles County Museum of Art kicked off a new exhibition celebrating football. "Fútbol: the Beautiful Game" opened on February 2 at the Miracle Mile museum and presents offerings by nearly 30 artists whose works center in some way on the sport. The show was curated by Franklin Sirmans and the collection celebrates diverse pieces from international artists. 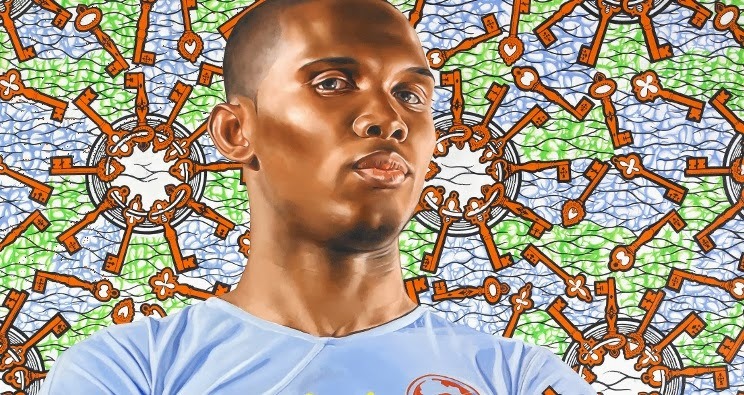 "Fútbol: the Beautiful Game" exhibits in time for the upcoming launch of the 2014 World Cup in Brazil, and rightfully so a fantastic 2010 oil painting featuring Cameroonian football star Samuel Eto'o is hanging in the museum. The piece was created by Kehinde Wiley. 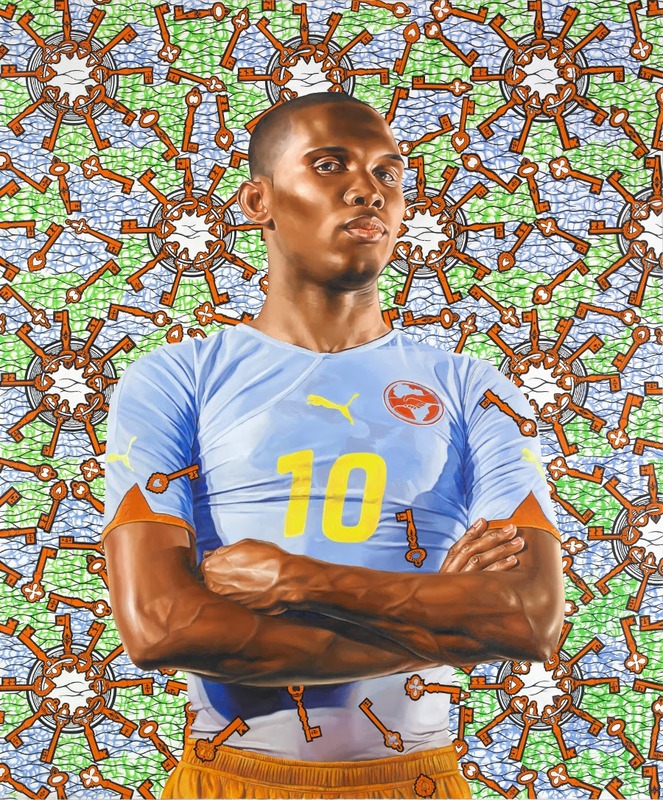 Kehinde Wiley, "Samuel Eto'o," 2010. Oil on Canvas. © Kehinde Wiley. Image courtesy of the artist, and Roberts & Tilton, Culver City.